Middlebeck look forward to an exciting year in 2019 with designs for a primary school and cafe in the pipeline. 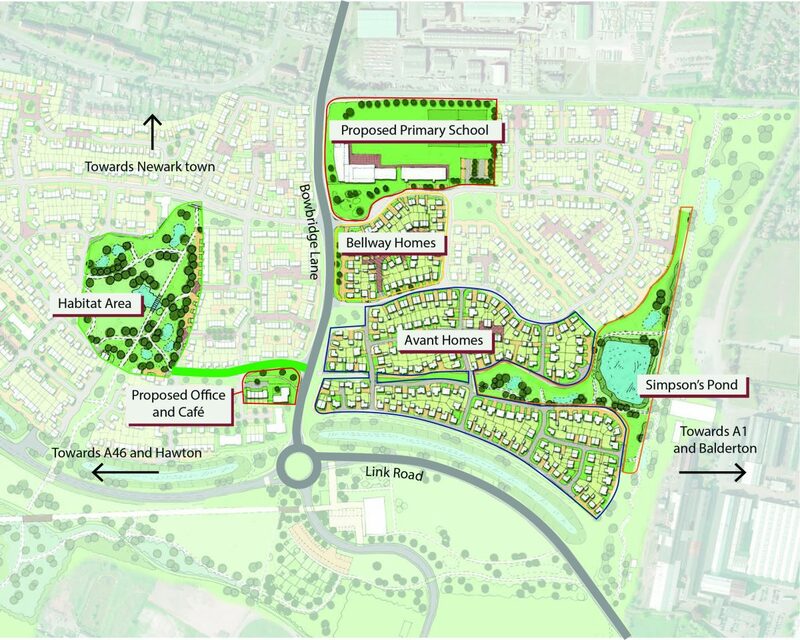 Work is about to get underway on the design of the primary school at Newark. This school will initially be a one form entry school with the capacity to grow to three forms of entry. It will be located on the northern edge of the site where you enter Middlebeck from Bowbridge Lane and Hawton Lane. More news about the opening date will be announced soon and a planning application should be submitted during 2019. Residents of Middlebeck should be able to pop down the road for a coffee and a cake this time next year, as Urban&Civic are busy designing a café and office to be located in the first phase of development. Situated on the west side of Bowbridge Lane, opposite the Avant and Bellway showhomes, the new building will offer an attractive gateway feature to the area and have a downstairs coffee shop and an Urban&Civic office on the first floor. A planning application for the building should be submitted early next year. An area of green space to the west of Bowbridge Lane is set to be transformed by Urban&Civic with help from Nottinghamshire Wildlife Trust. The area is allocated as informal green space in the planning permission for the development and this space will be accessible to residents by Summer next year, with a walkway created from the first phase of houses and the land developed into an area rich in natural habitat and biodiversity. Work is also getting underway on the enhancement of Simpson’s Pond, an existing pond nestled in the first phase of housing, which provides a great piece of amenity space for residents to enjoy. A new greenway route will also be created from the pond into the Avant Homes area, which includes a pathway and planting. Please see the above plan to find where these areas are within Middlebeck.